Written by Brittni Hagen, illustrated by Natalie Crema and Saw-mon, this project began 2 years ago out of pure fascination with the realm of rare fruit. 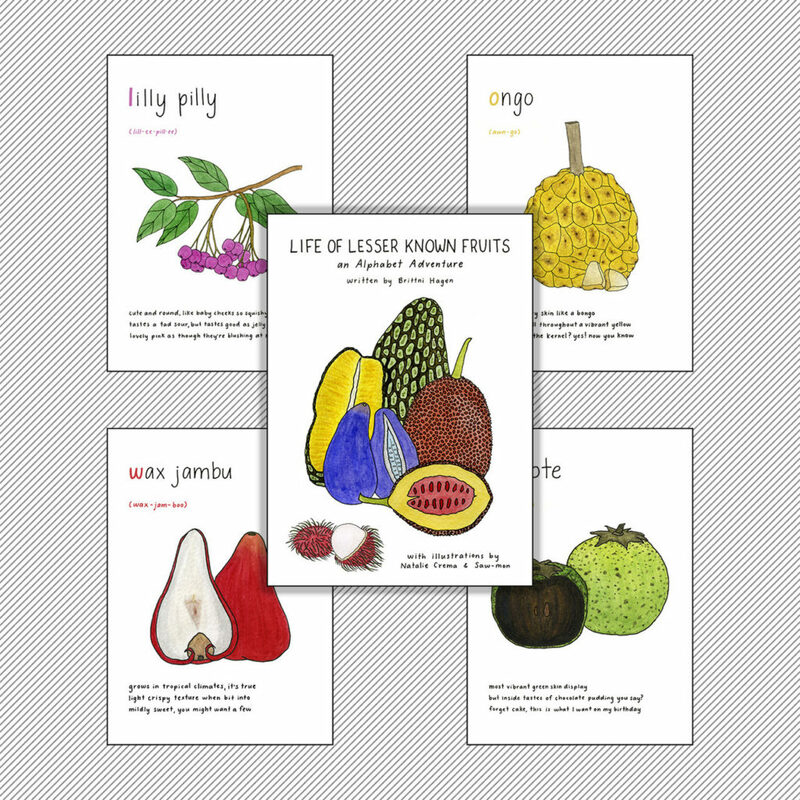 In an effort to extend their passion and another very potent love (working with children), the idea sparked to create a kid’s book surrounding the theme of fruit. Concept: A picture book that chronicles various fruits throughout each letter of the English alphabet (A-Z), portrayed with vibrant illustrations and accompanied by a sensory poem of each fruit.